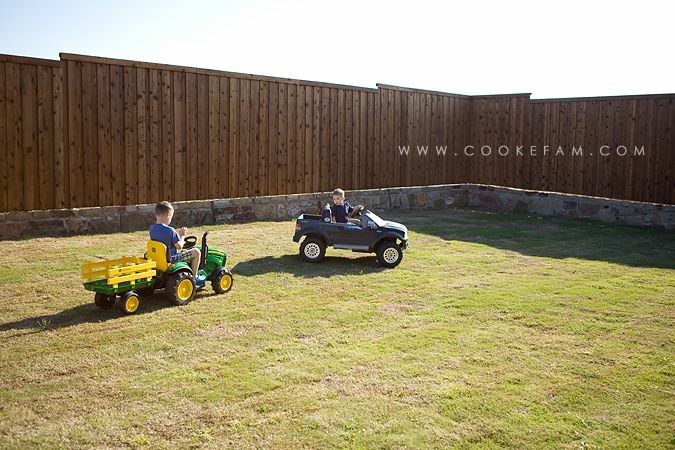 Mimi and Pop got the boys a new riding tractor with trailer. Just because. The boys are in love. 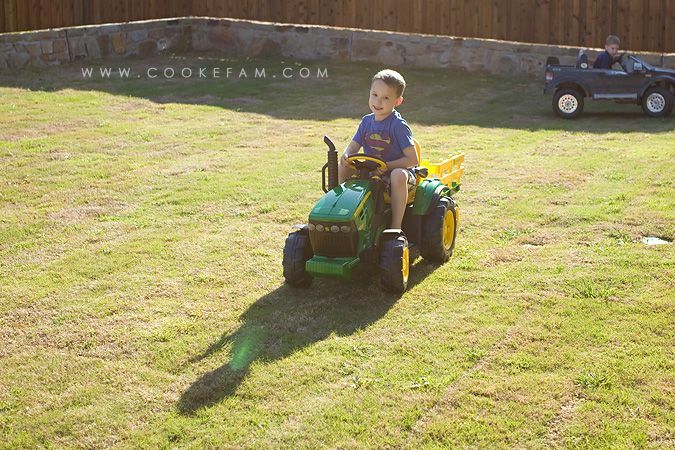 This boy especially loves tractors. And driving. 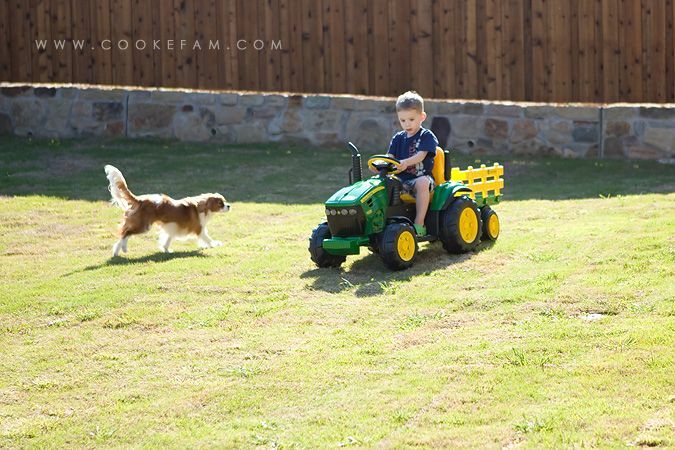 Duke has learned to move out of the path of the tractor when needed. Because the boys don't slow down for anything. 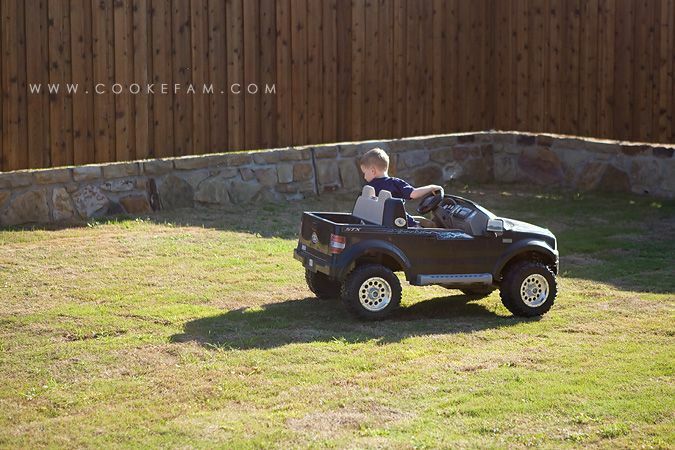 Now they each have a vehicle to drive. They had been doing well taking turns driving the truck that we've had for almost three years now. 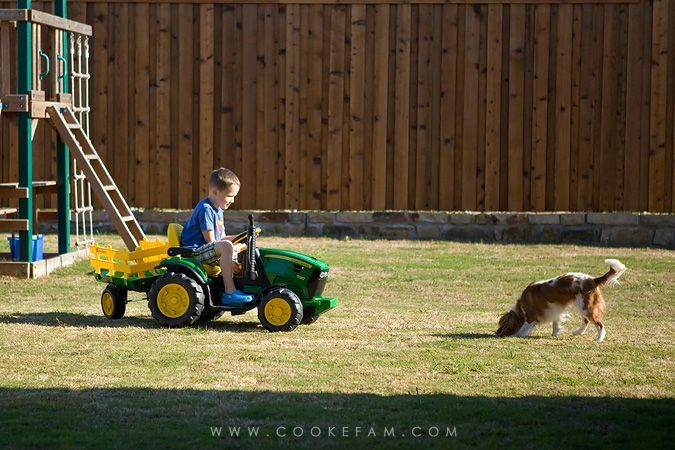 But that was just good practice for taking turns driving the tractor. It's also nice that we have twice the space in our backyard now in the new house. 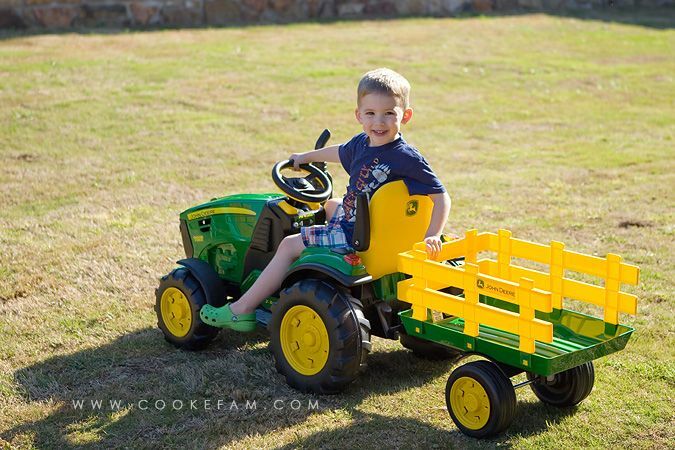 Logan is actually surprisingly good at throwing it in reverse and driving backwards. 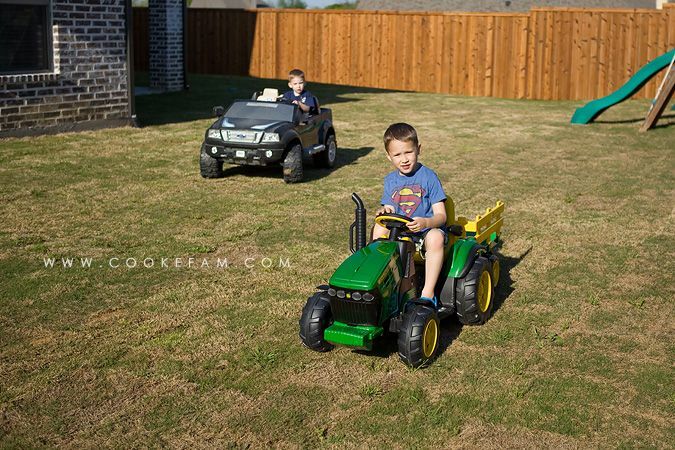 We took the governs off both vehicles so now the boys really zip around the back yard. They run down the batteries faster, but that's what they're for. Weeee!